On Tuesday, U.S. Senator Chuck Schumer announced $1.13 billion in FEMA funding for Sandy repair work and mitigation projects at NYU Langone Medical Center. The $1.13 billion is the total project cost, 90 percent of which will be covered by the federal government. Of that, $540 million is for permanent repairs and restoration for damaged elements of a variety of NYU Langone buildings, and $589 million will go towards mitigation work to protect against future storms. This is the second-largest Project Worksheet in FEMA’s history. The funds are in addition to $150 million in emergency federal Sandy aid the hospital received in January of 2013. Like nearby hospitals Bellevue and the V.A. 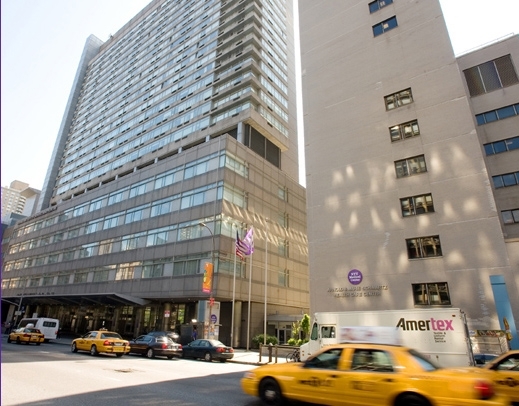 Manhattan campus, NYU Langone saw extensive flood damage as a result of Sandy and had to temporarily close. Schumer said the money was awarded through a new process built into the Sandy aid bill that’s aimed at cutting federal red tape to get financial help where it’s needed most. Repair work covers $540 million at the main campus for damage to the systems that operate building management, electrical and plumbing, fire alarms and fire protection, security, IT systems, telephony, as well as elevate and architectural damage. The hazard mitigation projects cover $589 million at the main campus at 550 First Avenue and its Center for Biomedical Imagining at 660 First Avenue. This includes installing exterior flood doors/barriers/egress, reinforcing walls, reinforcing slabs, filing in area ways, sealing exterior penetrations, elevating elevator program and service equipment, installing internal flood doors, sealing interior penetrations, installing check valves/backflow preventers and installing pumps and sump pumps. The funding will include repairs at the Smilow Research Center, Schwartz Care center, Medical Science Building, Skirball Institute, Tisch Hospital, Alumni Hall, Rusk Institute, Perelman Building, Schwartz Hall and Coles Student Laboratories. In a prepared statement, Robert I. Grossman, Dean and CEO of NYU Langone Medical Center, praised Schumer for securing the FEMA funds. “We are grateful to U.S. Senator Chuck Schumer for his unwavering support in achieving this extraordinary federal grant from FEMA, and are also appreciative of Governor Andrew Cuomo’s leadership throughout our recovery from Superstorm Sandy,” Grossman said.